Fashion TV host and journalist, Tiany Kiriloff, before Chloe, Paris, March 2014. 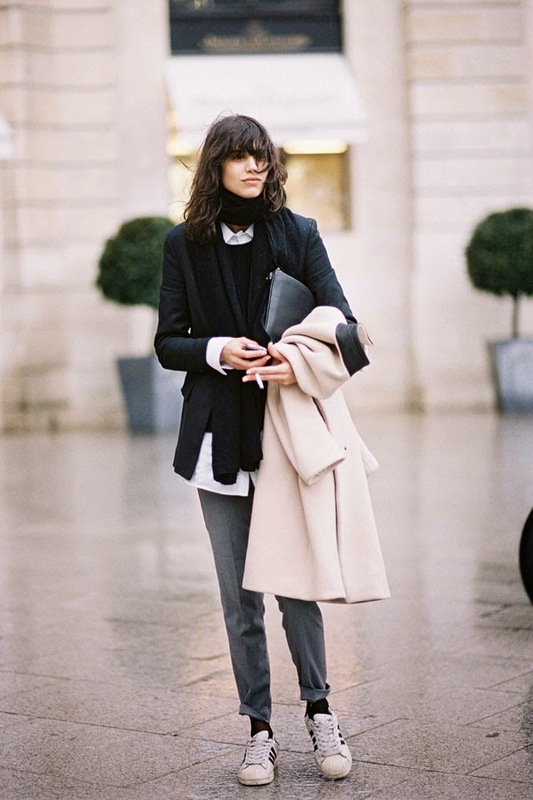 Such a beautiful outfit on Tiany - love the colours and layering. Anne-Catherine Frey (in Dior) after Chloe, Paris, March 2014. American model Devon Windsor, after A Show, Paris, March 2014. An alternative way of styling Stella McCartney's star jeans: with a leather vest and combat boots. Delpozo US President, Indre Rockefeller, before Kenzo, Paris, March 2014. An alternative way to wear a cable knit sweater (see Laurel's way of styling a cable-knit sweater here)....team with a sheer skirt. Hair inspiration (love her fringe and choppy cut!) 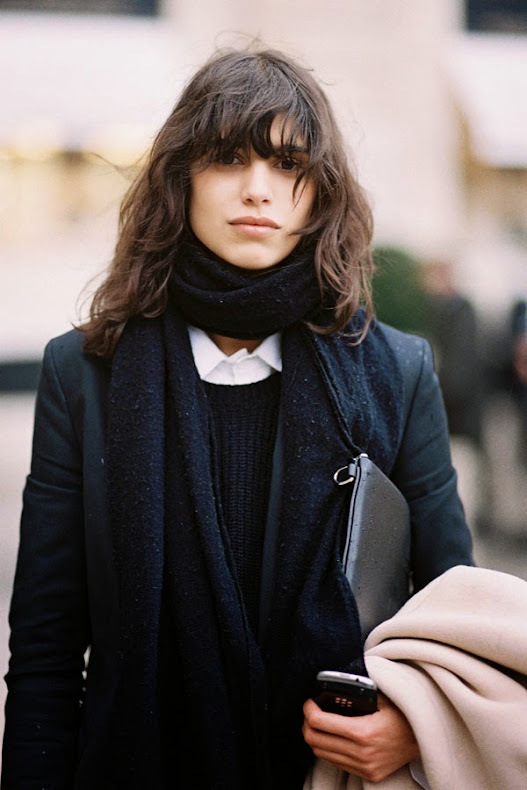 via Argentinian model Mica Arganaraz, after A Show, Paris, February 2014. After Karen Walker, NYC, September 2013. Market Editor Lucky magazine, Laurel Pantin, before Christopher Kane, London, February 2014. After Carolina Herrera, NYC, September 2013. A lovely print shirt....wear unbuttoned (with a tank underneath) and knotted at the waist for a casual look. Nicole Warne of Gary Pepper Girl, after Giambattista Valli, Paris, March 2014. Stylist Nausheen Shah, before A Show, Paris, March 2014. 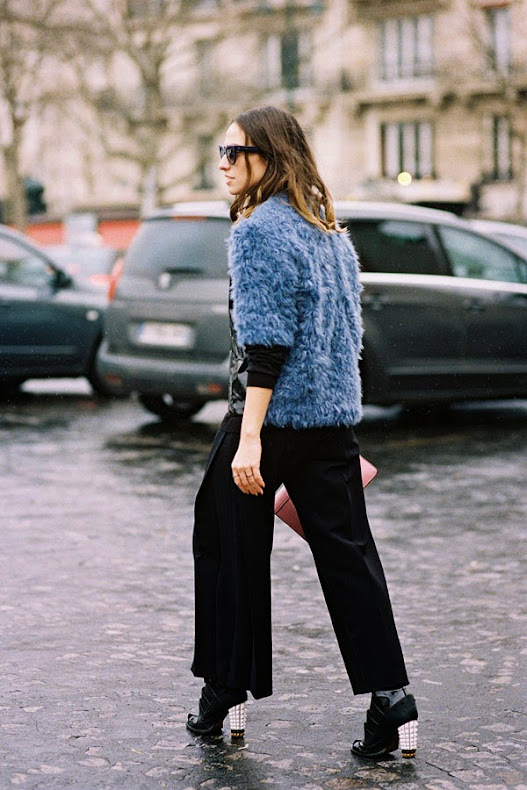 Natalie Joos of Tales of Endearment blog, after Kenzo, Paris, March 2014. Brazilian model Waleska Gorczevski, after Chanel Couture, Paris, July 2014. 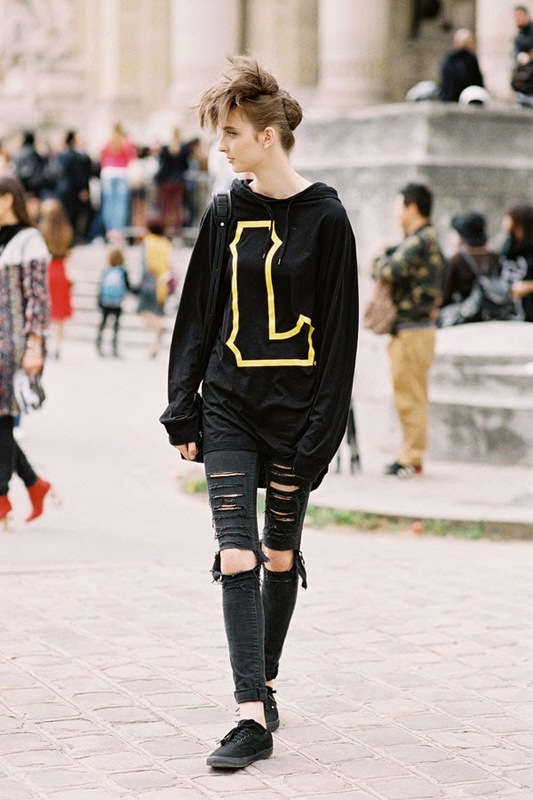 Something for the weekend...a hooded sweatshirt and shredded jeans. 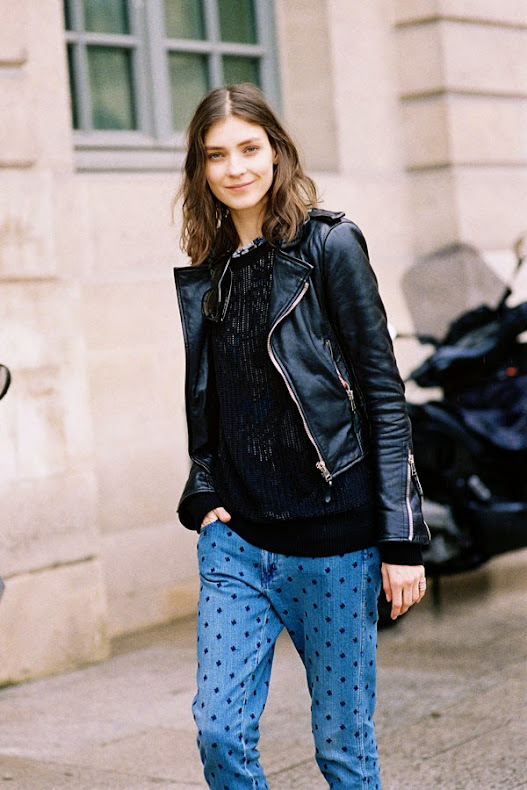 Melina Gesto, after Miu Miu, Paris, March 2014. Erika Boldrin of My Free Choice, after Haider Ackermann, Paris, February 2014. Russian/German model Kati Nescher, after A Show, Paris, February 2014. A flippy leather skirt to take you from summer→ autumn. Doina Ciobanu of The Golden Diamonds, Tuileries, Paris, March 2014. A beautiful colour-combination (and coat length) on Doina. Fashion Director Glamour (UK), Natalie Hartley, before Stella McCartney, Paris, March 2014. 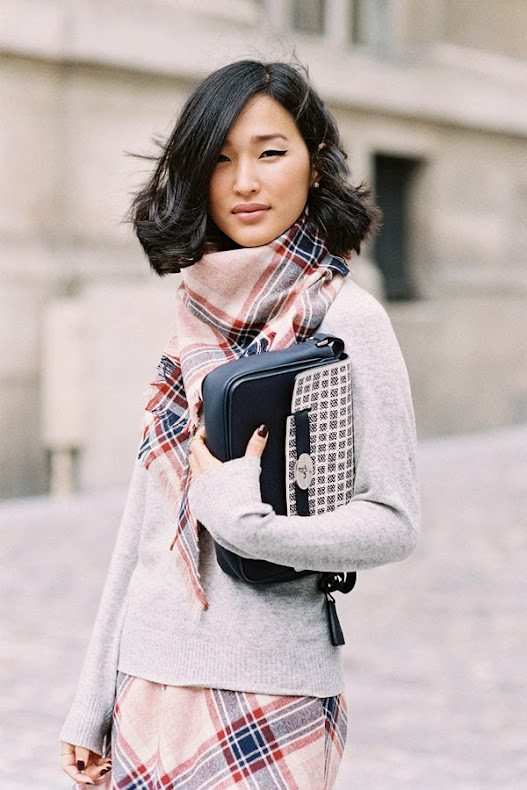 South Korean model Ji Hye Park, after Chloe, Paris, February 2014. Absolutely love this look on Ji Hye. Adorable from head to toe!